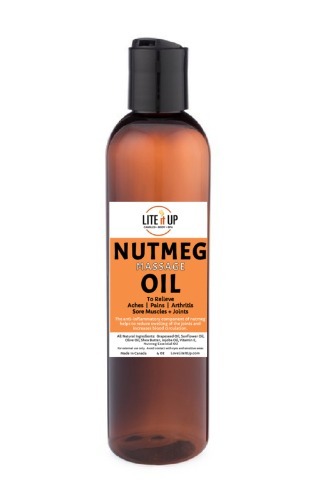 NUTMEG OIL - 4oz - Lite It Up Corp.
Nutmeg Oil is an effective treatment for arthritis, rheumatism, and tired, sore and over-worked muscles. It helps reduce swelling of the joints. Its relaxing aroma comforts the entire body, increases blood circulation, enhances concentration and enhances overall focus and efficiency while at study and work.